I awoke on the chairs I had lined up to sleep on. I packed up my things and got ready for the day. My travels were contingent on the weather, but the storms seemed to be stagnant as of that morning. I left my buggy at St. Margaret of Scotland’s and doubled back towards town to cover all the mileage. I met a man who looked like he was traveling. I offered him some snacks. He told me he was all set. I asked him where he was headed and he said, “the Waffle House, it’s waffle day.” It was really funny. We parted ways. I picked up the buggy and left St. Margaret of Scotland’s. I headed west on the 90. 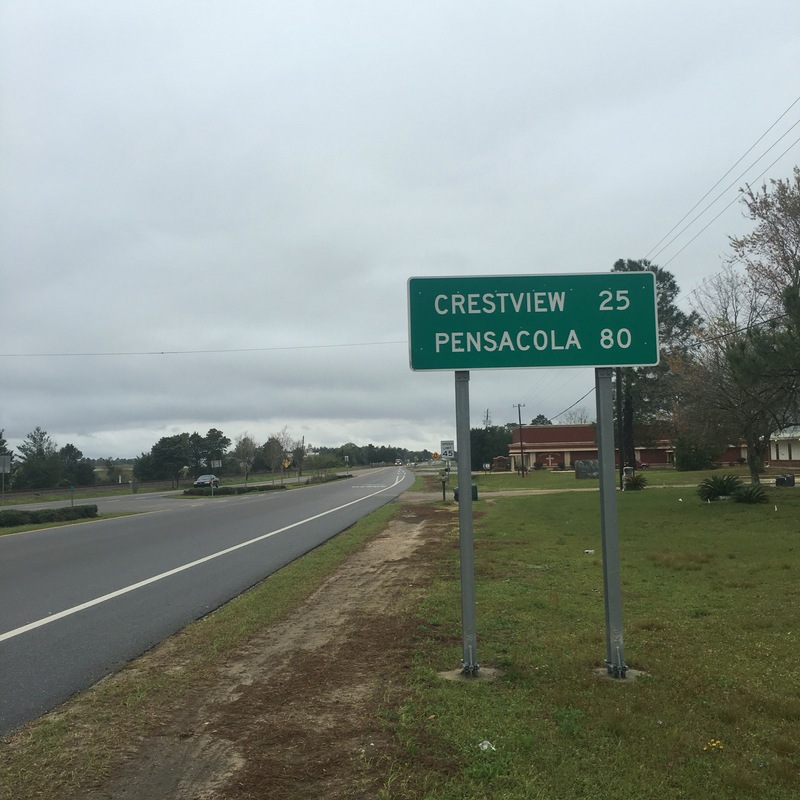 It was 25 miles to Crestview or so. 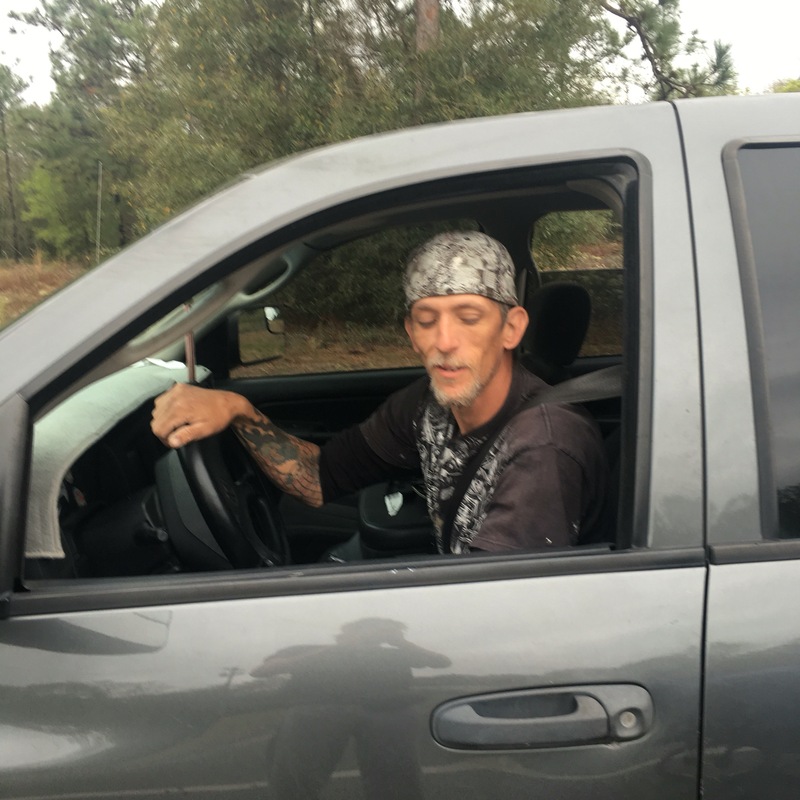 Chad pulled over and offered me a ride to Crestview. I considered the help but really thought I could make it on my own. It was still very early in the day. I thanked him the same. 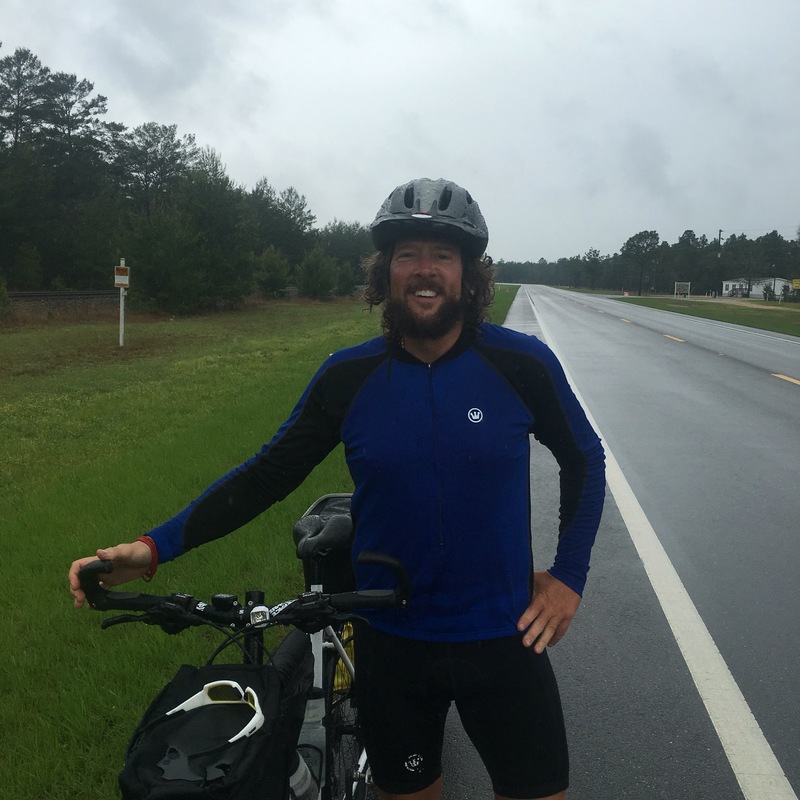 We talked a little about the pilgrimage and parted ways. 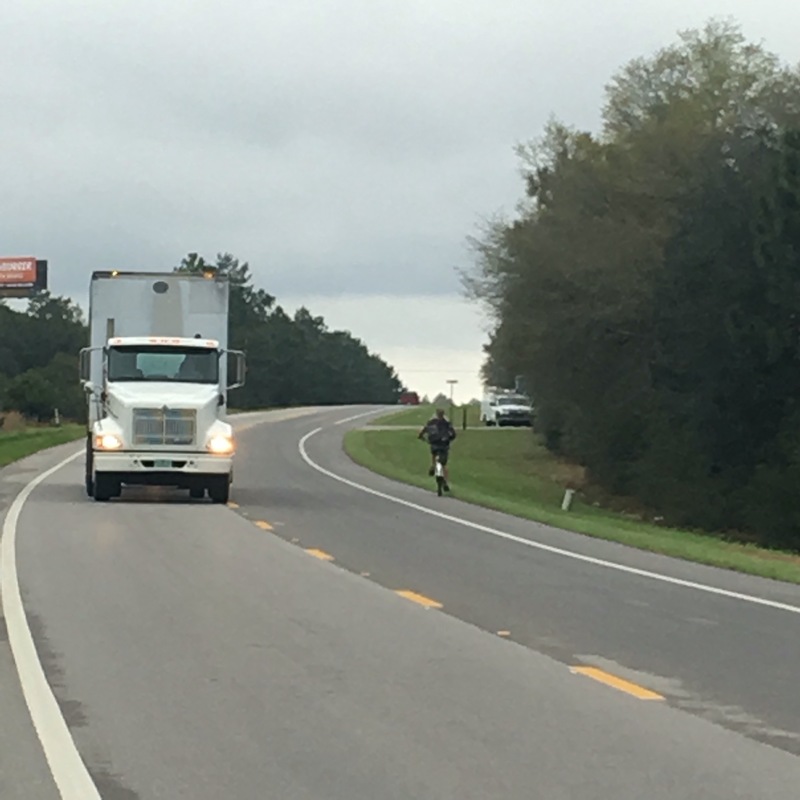 Later that morning I saw the waffle-man heading west on the 90 on the opposite side of the road. I snapped a quick photo of him. Just then he turned around and doubled back. His name is Curry. He wanted to thank me for the generosity I showed him that morning when I offered him some snacks. He told me he would like to return that generosity. 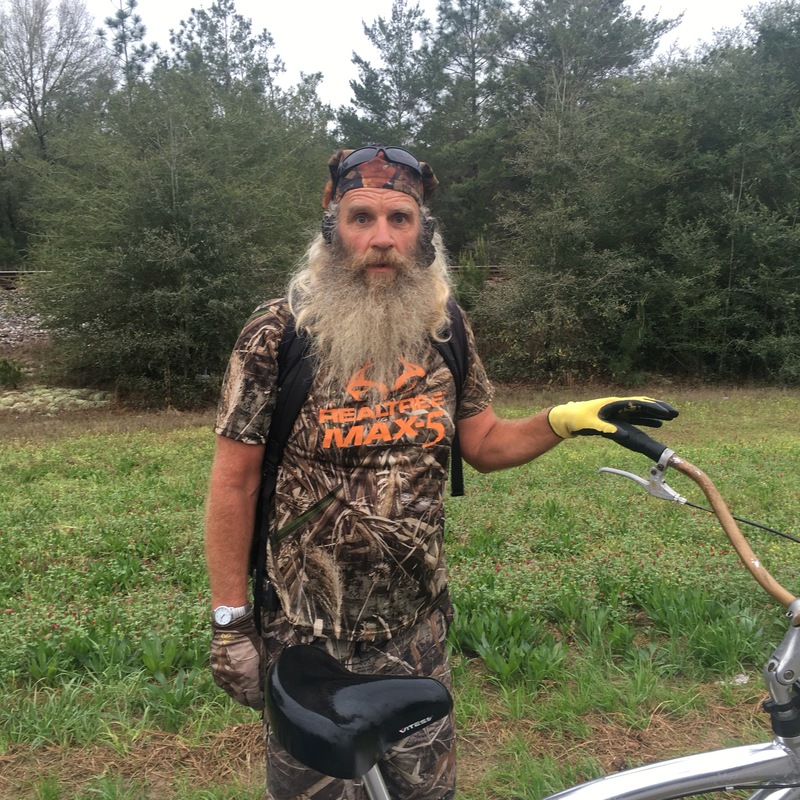 He reached into his pack and pulled out two “Caveman” paleo granola bars of different flavors. He let me pick one! I chose the chocolate coconut one. I thanked him and snapped a quick photo. We parted ways and down the road he went. It was a long and grueling day. Around noon I stopped at a Dollar General to use the bathroom. Severe weather was setting in. I set up beneath an awning at an abandoned pizza place along the 90. It rained hard for an hour or so with thunder and lightening. I began to worry if I would reach Crestview for the 7pm Good Friday Mass. I tied down the tarp on the buggy tight. Decking the poncho, I waited for a break in the downpour and jumped back on the 90. It briefly let up, and then I saw Curry coming east. He pulled over on my side and told me he got to thinking. He reached into his backpack and pulled out three cans of Pringles! “You can choose from any of these three, Salt and Vinegar, Honey Dijon, or BBQ.” I picked Salt and Vinegar. It was a huge can and just the salty snack I needed. I couldn’t thank him enough. “Now you need to take a picture of me with my hair down so I look like a caveman, like the Caveman bar I gave you.” It was really funny! 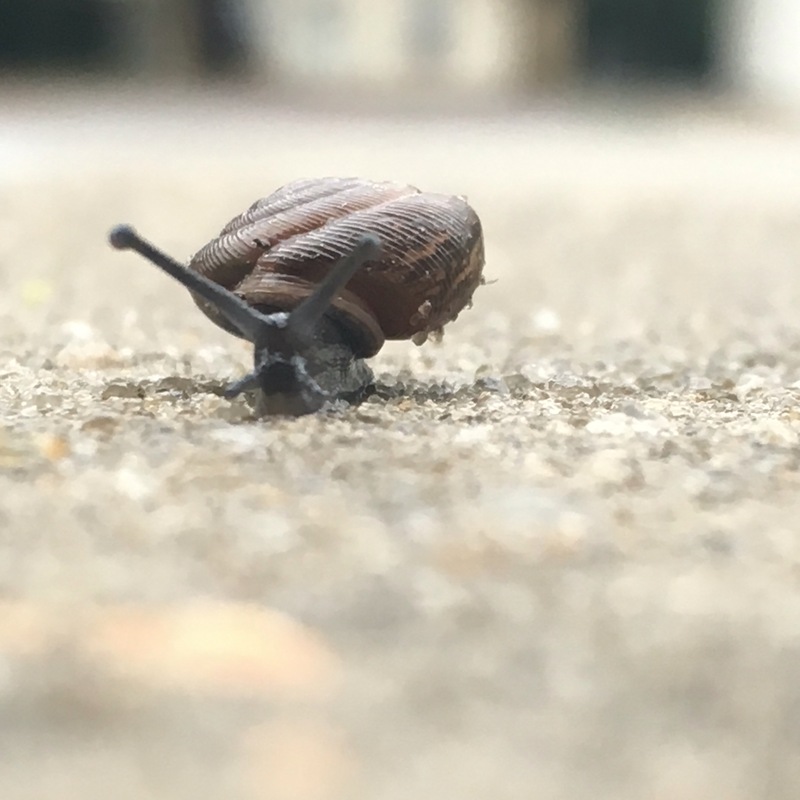 I snapped the photo and off he went. Curry was like my own personal crew member throughout the day, giving me snacks along the way! Further up the road I met Jim. He is headed to Jacksonville Beach coming all the way from San Diego. I asked him how long he has been on the road. He told me 38 days. Wow! Its always nice chatting with adventurers. Jim asked me if I had met some British guy the other day. Tracy! 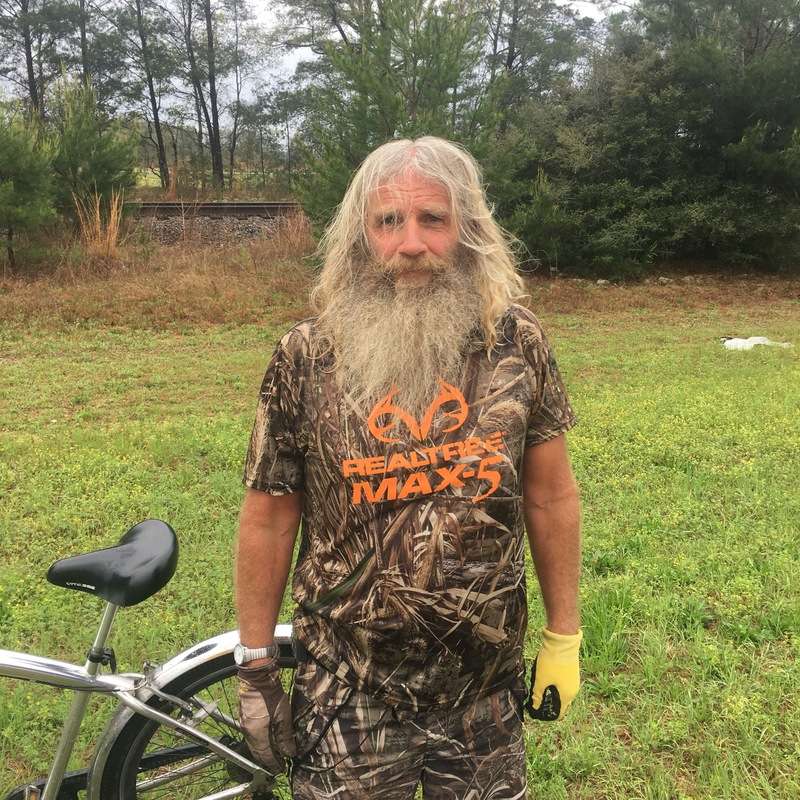 We talked about people we have met and Jim told me there was some 90 year old guy someone told him about who was running coast to coast. Ernie! We chatted about our travels and had a good time with a quite few laughs. Jim pointed out how not too many people do what we are doing. We parted ways. I was behind schedule. I set down a walking rule earlier in the week. I decided to break it. Chad pulled over to check in on me. He offered me another ride. I was about 8 miles outside town. I thanked him for his efforts. 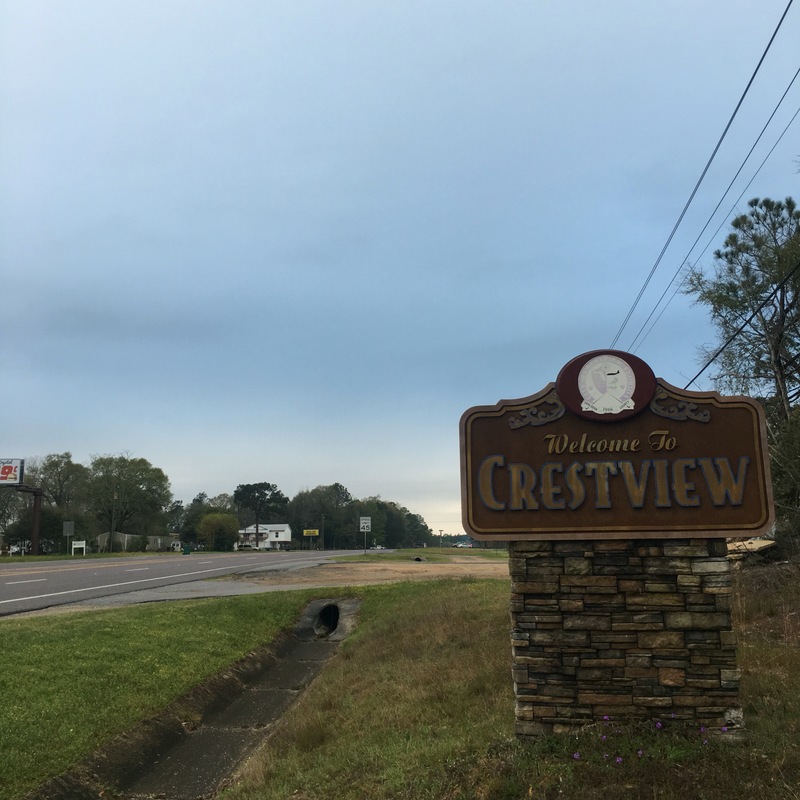 It was really nice of him to check and make sure I was ok.
Just as I reached Crestview city limits, a clearing broke through up in the distance. 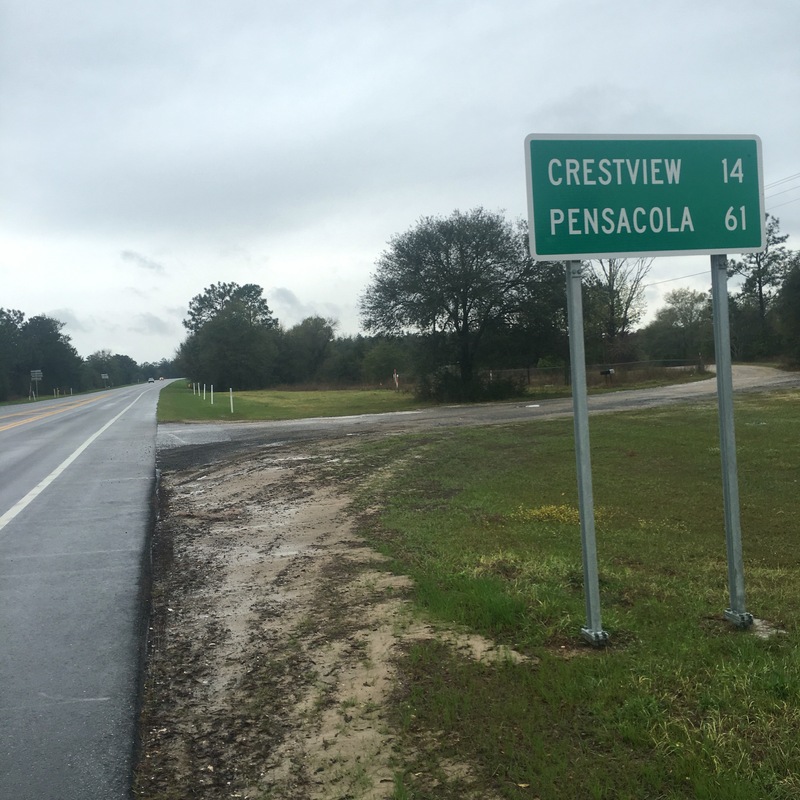 It felt good, I ran the 9 miles to and through Crestview. 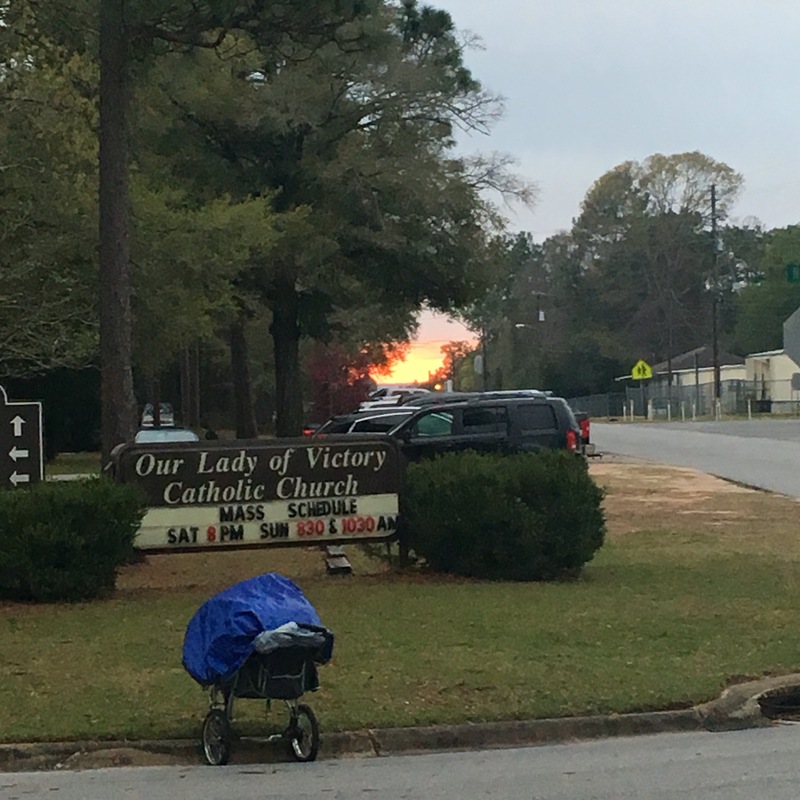 Arriving at Our Lady of Victory, the sun set in the distance. I made it with moments to spare for Good Friday Mass. I entered within. Blessed, Holy and Happy Easter to you, Dylan!